In the long term, Judge John Walter’s decision last week to dismiss the City’s case against the Federal Aviation Administration (FAA) doesn’t mean a whole lot. 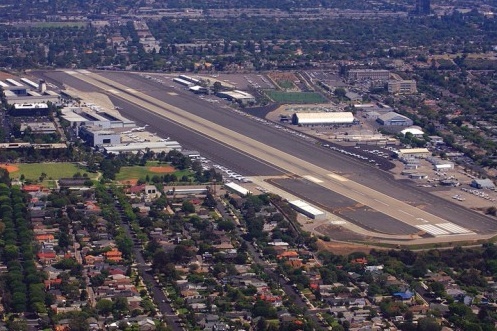 It’s not only that the judge emphasized that his decision had nothing to do with the merits of the case, but Santa Monica has several means to gain control of the airport land and ultimately close the airport. The lawsuit that Judge Walter dismissed primarily on the basis of the technical requirements of the federal Quiet Title Act (QTA) was based on the City’s claim that the “perpetuity clause” in the 1948 Instrument of Transfer (IOT) is not enforceable and that control of the airport will return to the City when the 1984 Settlement Agreement with the FAA expires July 1, 2015. By suing under the QTA, the City was trying to determine ahead of time what its rights were — to be able to plan accordingly for the future of the land. Judge Walter said he sympathized with that wish, but said the claim was not being made consistent with the time period allowed in the QTA for bringing suit against the federal government. His decision had nothing to do with the merits of the City’s case; since the City has not yet tried to close the airport, he said the issue was not yet “ripe.” The issue will be subject to litigation when the City moves to close the airport. But litigation over the 1948 and 1984 agreements is not the only arrow in the City’s quiver. In its complaint, the City, in recounting the history of how it acquired the airport land, took pains to point out that the 1948 IOT only applies to one piece of the airport. A large piece, on which sits about 40% of the airport’s runway, is not subject to the perpetuity clause in the IOT. Neighborhood groups opposed to the airport have made the argument, which City Attorney Marsha Moutrie has said appears to her to have merit, that the City could, on July 1, 2015, take back that portion of the airport, which would reduce the runway to less than 3000 feet. Obviously it would be simpler for the city to prevail in a suit over the 1948 and 1984 agreements, but reducing the length of the runway would mean that the big private jets that have the worst adverse impacts would not be able to use the airport. Even more significantly this would likely mean that the airport would not be able to subsist economically and would have to close. In this connection, it’s not only the 1984 Settlement Agreement that expires July 1, 2015, but also all the leases of city-owned land and buildings at the airport to aviation interests. These are the hangars that the private jets and planes use, the support facilities for fuel and repairs, and the offices of the aviation companies. Under these old leases the rents are pennies on the dollar of what is now market-rate. Indeed, aviation companies are currently subleasing much of this space at a considerable profit to non-aviation tenants, such as Volkswagen’s design studio. All of these leases end in 2015. Then the City can terminate the leases and lease to new, non-aviation tenants. As David Goddard, Chair of the Airport Commission, discussed at the Airport2Park panel a few weeks ago on financing a big park at the airport, this would represent a large swing, of millions of dollars, of revenue to the City — in the long term, these dollars could go to the operating costs of a park, in the short term there would be plenty of money to fund litigation with the FAA. If the FAA could persuade a court that the perpetuity clause still applies, and if the airport could survive a starvation strategy, there would still be politics at a higher level. Congresswoman Karen Bass, who represents the district immediately to the east of the airport, has called for the airport to close. Henry Waxman was inching to that position when he announced his retirement, but there is every indication that his successor will support efforts to close the airport. Candidates Ted Lieu and Marianne Williamson have both stated they support Santa Monica’s right to close the airport. Wendy Greuel, to my knowledge, has not yet declared a position on the airport, but there’s every reason that the next U.S. representative from our district will call for closing the airport. One has to wonder how much of its resources and political capital the FAA will want to expend defending a small airport that has lost the support of the local members of Congress. Regardless whether the City chooses to appeal Judge Walter’s decision, it’s clear that the fight to close Santa Monica Airport is far from over. What about funding operations at the airport at an absolute minimum, no repairs or upgrades such as new paint? Turn off the landing lights at night. Sweep floors once a week etc. Is this another arrow in the Quiver? Yes, that’s essentially what the “starvation” strategy entails, but even less (no repair shops, no fuel, etc. ).